Gold Crystal Teardrop Pendant Only $2 SHIPPED! You are here: Home / Great Deals / Amazon Deals / Crystal Teardrop Necklace Only $3.10 SHIPPED! 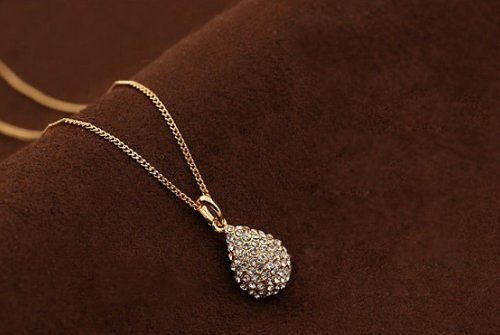 Crystal Teardrop Necklace Only $3.10 SHIPPED! Oh, you guys, check out this HOT deal I found! This beautiful Crystal Teardrop Necklace is just $2.25 + $0.85 shipping! I think this is so simple yet so pretty with the sparkly crystals! I’m grabbing this for my collection!